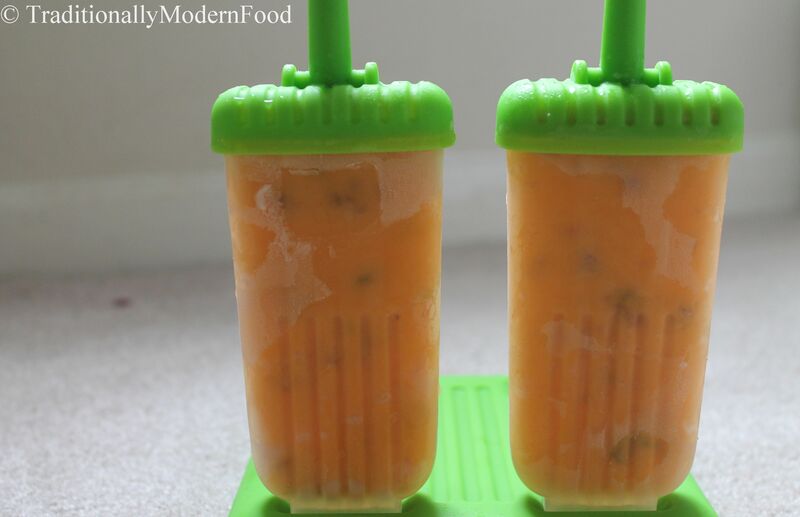 Mango Kulfi is a easy 2 ingredient dessert prepared with mangoes and condensed milk. Perfect summer dessert. I am crazy about mangoes. My third Mango Recipe – never mind. Mango kulfi is one of the best summer desserts made with mangoes. Kulfi is an Indian version of ice cream – nuttier and denser than the regular ice cream. Traditionally it is made with thickened creamy milk, but it is time consuming. Lazy me always looking for an easy substitute. Tried using condensed milk and bingo! Delicious Mango Kulfi is ready. During my childhood days, I remember hawkers with push carts full of creamy kulfi. After hearing their bell sounds, me and my sis will run to buy kulfi. It is so addictive. You can try variations in it, by adding nuts and any fruit pulp of your choice, or even plain milk mixture with nuts also tastes divine. This is a very easy and quick kulfi recipe ,no cooking is required. In a bowl, add Pureed Mango and Vanilla extract. Mix well and add Condensed Milk and chopped nuts. 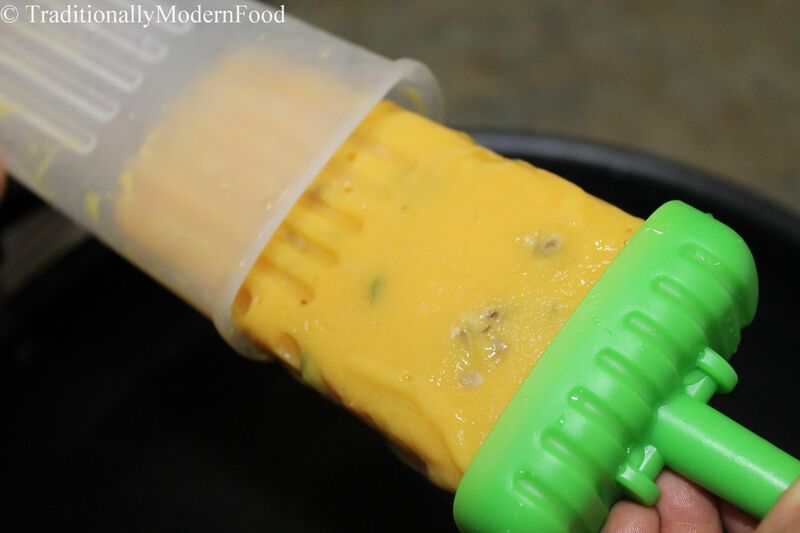 Combine everything and fill the mixture in the kulfi moulds (popsicle moulds) or just use any container with a lid. Dip the moulds in hot water to easily unmould the kulfi . I would love to try this! Could I do it with a different fruit or would it not be considered kulfi anymore? I truly love learning about all these new foods! Ya u can try with any fruits.. The name kulfi just refers to the presence of thickened milk..
Ok great! Thanks! I have this recipe bookmarked…on my list of things I want to try! Will do! Perfect for summertime!! Oh I love this, I will have to make them. Perfect for the summer. I LOVE mango. This looks so refreshing! My son would love these. I would like to try other fruits as well maybe. Thanks Arlene:) ya kids will love it for sure.. I am also crazy about mangoes! They sound perfect for this recipe! And I love how simple it is. Thanks Shiran:) happy to know mango lovers like me..
Mango kulfi looks too goo! Thank you for linking it to my event! Kulfi looks yummm……. Perfect to beat this heat!